A beautiful star tree decoration for a family with baby twin's first Christmas. 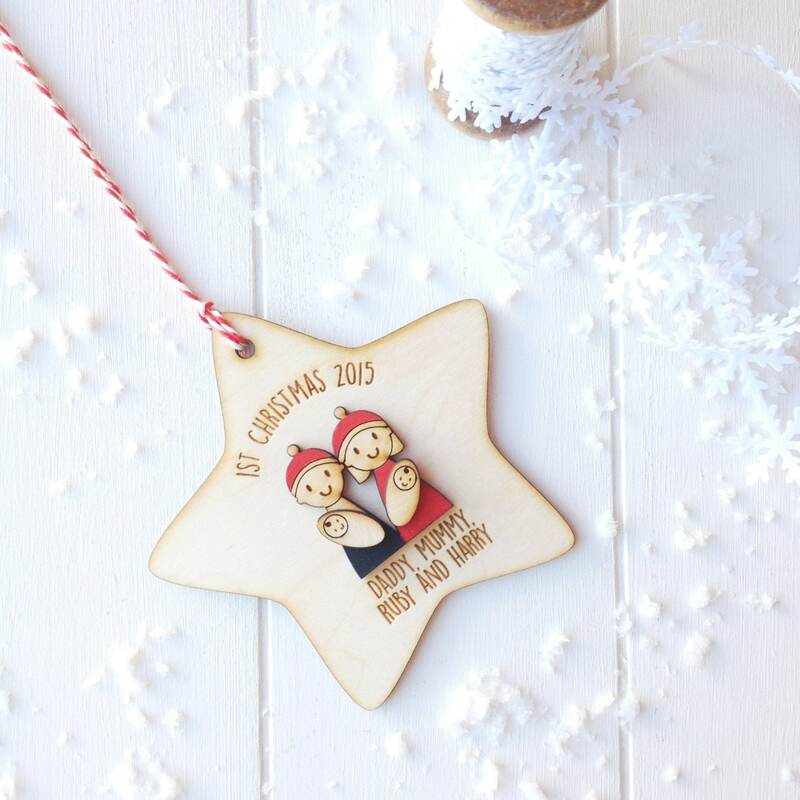 The decoration is made from lovely natural wood and features a hand painted Daddy, Mummy and baby twin figures. Daddy and Mummy are wearing cute little bobble hats. 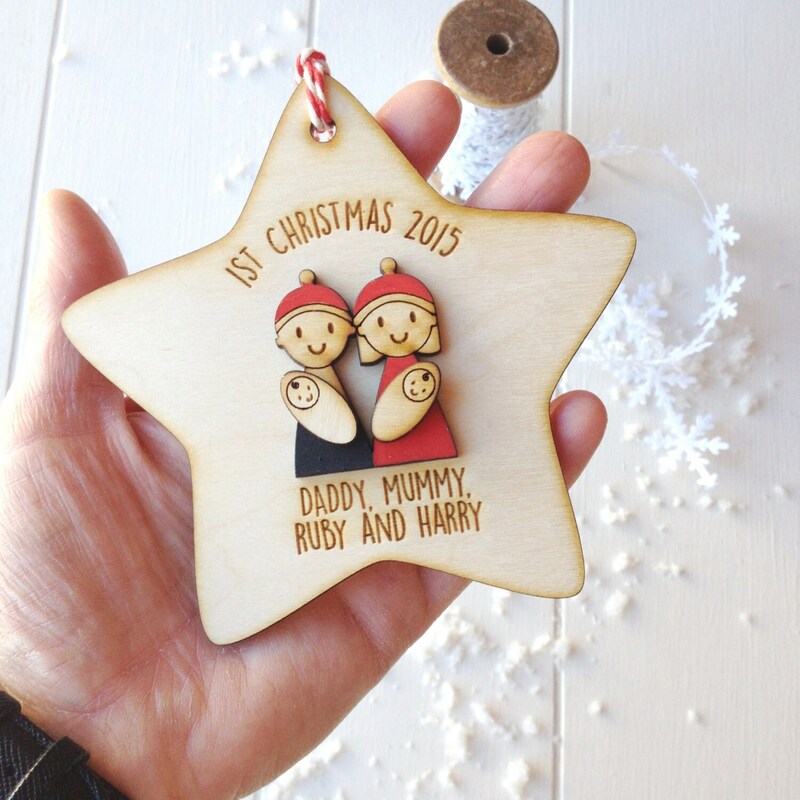 The star is made from beautiful natural wood and is personalised with the year, Daddy, Mummy and the babies names. 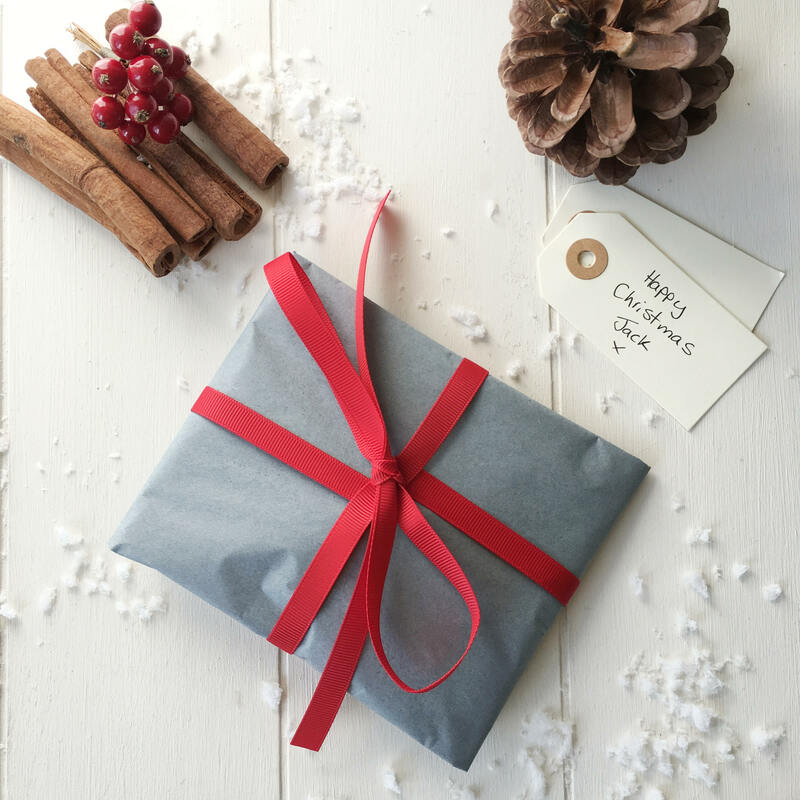 The star is personalised with the year and the preferred titles or names for Daddy and Mummy and the babies names engraved on the front. Beautiful tree decoration! So good I ordered 3 - one for us and one for each set of grandparents! This is the second personalised decoration I’ve purchased from here. The customer service was perfect. I’ve recommended to my friends.